The New York Comic Con Stranger Things panel was mostly a silly barrage of gushing about Winona Ryder, ’80s nostalgia, and Millie Bobby Brown anecdotes. (She apparently had a great birthday on set. Also, it’s hard to eat all those waffles.) 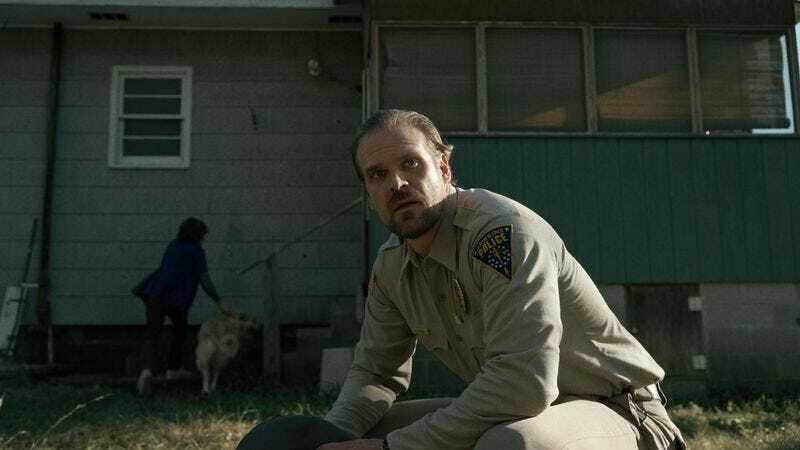 But Brown and co-star David Harbour were remiss to give away too many—or really any—details about the upcoming season. They even tried to keep the the mystery as to whether Brown will be returning as Eleven somewhat alive: A discussion of the good old days when people had to tune into TV at a certain hour led Brown to bring up her obsession with The Vampire Diaries. Harbour impressed her with the info that he knows “Paul” (we assume Paul Wesley). He then added: “He’s going to be in Atlanta when we’re shooting.” Brown quickly, and coyly, amended that statement.“If I’m back in Atlanta,” she said. Okay, sure, kid. Netflix previously announced that season two will come in 2017, last nine episodes, and take place in 1984. Happy speculating.